Mission: Jeremiah House is a Christ-centered sober living and recovery home for women who have survived lives subjected to human trafficking, prostitution, addiction, sexual abuse as a child and homelessness. We nurture transformative change for freedom and healing in a home environment, offering the hope and the power for change we have found in Christ. We network with the community in restoring lives, helping women find direction, and fulfilling life purposes. 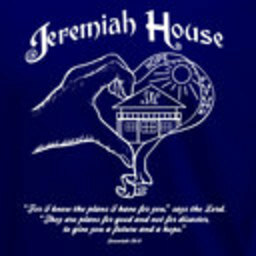 Jeremiah House is about help, healing, and home.